The following piece by Protopresbyter Georges V. Florovsky was originally published in 1933 in Church Quarterly Review. Where Florovsky does not translate foreign phrases, we have supplied a translation in brackets for non-specialists. It is very difficult to give an exact and firm definition of a ‘sect’ or ‘schism’ (I distinguish the theological definition from the simple canonical description), since a sect in the Church is always something contradictory and unnatural, a paradox and an enigma. For the Church is unity, and the whole of her being is in this unity and union, of Christ and in Christ. ‘For in one Spirit were we all baptized into one body’ (1 Cor. 12.13), and the prototype of this unity is the consubstantial Trinity. The measure of this unity is catholicity or communality (sobornost), where the impenetrability of personal consciousness is softened – and even removed – in complete unity of thought and soul, and the multitude of them that believe are of one heart and soul (cf. Acts 4.32). A sect, on the other hand, is separation, solitariness, the loss and denial of communality. The sectarian spirit is the direct opposite of the Church spirit. The question of the nature and meaning of divisions and sects in the Church was put in all its sharpness as early as the ancient baptismal disputes of the third century. At that time St Cyprian of Carthage developed with fearless consistency a doctrine of the complete absence of grace in every sect, precisely as a sect. The whole meaning and the whole logical stress of his reasoning lay in the conviction that the sacraments are established in the Church. That is to say, they are effected and can be effected only in the Church, in communion and in communality. Therefore every violation of communality and unity in itself leads immediately beyond the last barrier into some decisive ‘outside’. To St Cyprian every schism was a departure out of the Church, out of that sanctified and holy land where alone there rises the baptismal spring, the waters of salvation, quia una est aqua in ecclesia sancta [“because the water in the holy Church is one”] (Epist. lxxi, 2). The teaching of St Cyprian as to the gracelessness of sects is only the opposite side of his teaching about unity and communality. This is not the place or the moment to recollect and relate Cyprian’s deductions and proofs. Each of us remembers and knows them, is bound to know them, is bound to remember them. They have not lost their force to this day. The historical influence of Cyprian was continuous and powerful. Strictly speaking, in its theological premises the teaching of St Cyprian has never been disproved. Even Augustine was not very far from Cyprian. He argued with the Donatists, not with Cyprian himself, and did not try to refute Cyprian; indeed, his argument was more about practical measures and conclusions. In his reasoning about the unity of the Church, about the unity of love as a necessary and decisive condition for the saving power of the sacraments, Augustine really only repeats Cyprian in new words. But the practical conclusions drawn by Cyprian have not been accepted and supported by the consciousness of the Church. One may ask how this was possible, if his premisses have been neither disputed nor set aside. There is no need to enter into the details of the Church’s canonical relations with sectarians and heretics; it is an imprecise and an involved enough story. It is sufficient to state that there are occasions when, by her very actions, the Church gives one to understand that the sacraments of sectarians – and even of heretics – are valid, that the sacraments can be celebrated outside the strict canonical limits of the Church. The Church customarily receives adherents from sects – and even from heresies – not by the way of baptism, thereby obviously meaning or supposing that they have already been actually baptized in their sects and heresies. In many cases the Church receives adherents even without chrism, and sometimes also clergy in their existing orders. All the more must this be understood and explained as recognizing the validity or reality of the corresponding rites performed over them ‘outside the Church’. If sacraments are performed, however, it can only be by virtue of the Holy Spirit, and canonical rules thus establish or reveal a certain mystical paradox. In what she does the Church bears witness to the extension of her mystical territory even beyond her canonical borders: the ‘outside world’ does not begin immediately. St Cyprian was right: The sacraments are accomplished only in the Church. But he defined this ‘in’ hastily and too narrowly. Must we not rather argue in the opposite direction? Where the sacraments are accomplished, there is the Church. St Cyprian started from the silent supposition that the canonical and charismatic limits of the Church invariably coincide, and it is his unproven equation that has not been confirmed by the communal consciousness of the Church. As a mystical organism, as the sacramental Body of Christ, the Church cannot be adequately described in canonical terms or categories alone. It is impossible to state or discern the true limits of the Church simply by canonical signs or marks. Very often the canonical boundary determines the charismatic boundary as well, and what is bound on earth is bound by an indissoluble bond in heaven. But not always. And still more often, not immediately. In her sacramental, mysterious being the Church surpasses all canonical norms. For that reason a canonical cleavage does not immediately signify mystical impoverishment and desolation. All that Cyprian said about the unity of the Church and the sacraments can be and must be accepted. But it is not necessary to draw with him the final boundary around the body of the Church by means of canonical points alone. This raises a general question and a doubt. Are these canonical rules and acts subject to theological generalization? Is it possible to ascribe to them theological or dogmatic grounds and motivation? Or do they rather represent only pastoral discretion and forbearance? Ought we not to understand the canonical mode of action as a forbearing silence concerning gracelessness rather than as a recognition of the reality or validity of schismatic rites? And if so, is it then quite prudent to cite or introduce canonical facts into a theological argument? This objection is connected with the theory of what is called ‘economy’ (oikonomia). In general ecclesiastical usage ‘economy’ is a term of very many meanings. In its broadest sense it embraces and signifies the whole work of salvation (cf. Coloss. 1.25; Eph. 1.10; 3.2, 9). The Vulgate usually translates it by dispensatio. In canonical language ‘economy’ has not become a technical term. It is rather a descriptive word, a kind of general characteristic: ‘economy’ is opposed to ‘strictness’ (akribeia) as a kind of relaxation of Church discipline, an exemption or exception from the ‘strict rule’ (ous strictum) or from the general rule. The governing motive of ‘economy’ is precisely ‘philanthropy’, pastoral discretion, a pedagogical calculation – the deduction is always from practical utility. ‘Economy’ is an aspect of pedagogical rather than canonical consciousness. ‘Economy’ can and should be employed by each individual pastor in his parish, still more by a bishop or council of bishops. For ‘economy’ is pastorship and pastorship is ‘economy’. In this is the whole strength and vitality of the ‘economic’ principle – and also its limitations. Not every question can be asked and answered in terms of ‘economy’. One must ask, therefore, whether it is possible to treat the question of the baptism of sectarians and heretics as a question only of ‘economy’. Certainly, in so far as it is a question of winning lost souls for Catholic truth, of bringing them to ‘the word of truth’, then every course of action must be ‘economic’; that is, pastoral, compassionate, loving. The pastor must leave the ninety and nine and seek the lost sheep. But for this very reason the need is all the greater for complete sincerity and directness. Not only is unequivocal accuracy, strictness and clarity – in fact, akribeia – required in the sphere of dogma (how otherwise can unity of mind be obtained? ), but accuracy and clarity are above all necessary also in mystical diagnosis. Precisely for this reason the question of the rites of sectarians and heretics must be asked and answered in terms of the strictest akribeia. For here it is not so much a quaestio iuris [“question of law”] as a quaestio facti [“question of fact”], and indeed of mystical fact, of sacramental reality. It is not a matter of ‘recognition’ so much as of diagnosis; it is necessary to identify and to discern mystical realities. Least of all is the application of ‘economy’ to such a question compatible with the radical standpoint of St Cyprian. If beyond the canonical limits of the Church the wilderness without grace begins immediately, if schismatics have not been baptized and still abide in the darkness that precedes baptism, then perfect clarity, strictness, and firmness are even more indispensable in the acts and judgements of the Church. Here no ‘forbearance’ is appropriate or even possible; no concessions are permissible. Is it in fact conceivable that the Church should receive sectarians or heretics into her own body not by way of baptism simply in order thereby to make their decisive step easy? This would certainly be a very rash and dangerous complaisance. Instead, it would be connivance with human weakness, self-love, and lack of faith, a connivance all the more dangerous in that it creates the appearance of a recognition by the Church that schismatic sacraments and rites are valid, not only in the minds of schismatics or people from outside, but in the consciousness of the majority of people in the Church and even of its leaders. Moreover, this mode of action is applied because it creates this appearance. If in fact the Church were fully convinced that in the sects and heresies baptism is not accomplished, to what end would she reunite schismatics without baptism? Surely not in order simply to save them by this step from false shame in the open confession that they have not been baptized. Can such a motive be considered honorable, convincing, and of good repute? Can it benefit the newcomers to reunite them through ambiguity and suppression of truth? To the reasonable question whether it would not be possible by analogy to unite Jews and Moslems to the Church ‘by economy’ and without baptism Metropolitan Anthony (Khrapovitsky) replied with complete candor: ‘Ah, but all such neophytes – and even those baptized in the name of Montanus and Priscilla – would not themselves claim to enter the Church without immersion and the utterance of the words, ‘In the name of the Father, etc.’ Such a claim could only be advanced through a confused understanding of the Church’s grace by those sectarians and schismatics whose baptism, worship and hierarchical system differ little externally from those of the Church. It would be very insulting to them, on their turning to the Church, to have to sit on the same seat with heathens and Jews. For that reason the Church, indulging their weakness, has not performed over them the external act of baptism, but has given them this grace in the second sacrament’ (Faith and Reason, 1916, 8-9, pp.887-8). One may ask who gave the Church this right not merely to change, but simply to abolish the external act of baptism, performing it in such cases only mentally, by implication or by intention at the celebration of the ‘second sacrament’ (i.e. chrismation) over the unbaptized. Admittedly, in special and exceptional cases the ‘external act’, the ‘form’, may indeed be abolished; such is the martyr’s baptism in blood, or even the so-called baptisma flaminis [“baptism of flame”]. But this is admissible only in casu necessitatis [“the case of necessity”]. Moreover, there can hardly be any analogy between these cases and a systematic connivance in another’s sensitiveness and self-deception. If ‘economy’ is pastoral discretion conducive to the advantage and salvation of human souls, then in such a case one could only speak of ‘economy in reverse’. It would be a deliberate retrogression into equivocation and obscurity for the sake of purely external success, since the internal enchurchment of ‘ineophytes’ cannot take place with such concealment. It is scarcely possible to impute to the Church such a perverse and crafty intention. And in any case the practical result of this ‘economy’ must be considered utterly unexpected. For in the Church herself the conviction has arisen among the majority that sacraments are performed even among schismatics, that even in the sects there is a valid, although forbidden, hierarchy. The true intention of the Church in her acts and rules would appear to be too difficult to discern, and from this point of view as well the ‘economic’ explanation of these rules cannot be regarded as convincing. The ‘economic’ explanation raises even greater difficulties when we consider its general theological premises. One can scarcely ascribe to the Church the power and the right, as it were, to convert the ‘has-not-been’ into the ‘has-been’, to change the meaningless into the valid, as Professor Diovuniotis expresses it (Church Quarterly Review, No.231 [April 1931], p.97), ‘in the order of economy.’ This would give a particular sharpness to the question whether it is possible to receive schismatic clergy ‘in their existing orders.’ In the Russian Church adherents from Roman Catholicism or from the Nestorians, etc., are received into communion ‘through recantation of heresy’, that is, through the sacrament of repentance. Clergy are given absolution by a bishop and thereby, the inhibition lying on a schismatic cleric is removed. One asks whether it is conceivable that in this delivery and absolution from sin there is also accomplished silently – and even secretly – baptism, confirmation, ordination as deacon or priest, sometimes even consecration as bishop, without any ‘form’ or clear and distinctive ‘external act’ which might enable us to notice and consider precisely what sacraments are being performed. Here there is a double equivocation, both from the standpoint of motive and from the standpoint of the fact itself. Can one, in short, celebrate a sacrament by virtue of ‘intention’ alone and without some visible act? Of course not. Not because there belongs to the ‘form’ some self-sufficient or ‘magic’ effect, but precisely because in the celebration of a sacrament the ‘external act’ and the pouring-forth of grace are in substance indivisible and inseparable. Certainly, the Church is the ‘steward of grace’ and to her is given power to preserve and teach these gifts of grace. But the power of the Church does not extend to the very foundations of Christian existence. It is impossible to conceive that the Church might have the right, ‘in the order of economy’, to admit to the priestly function without ordination the clergy of schismatic confessions, even of those that have not preserved the ‘apostolic succession’, while remedying not only all defects but a complete lack of grace while granting power and recognition by means of an unexpressed ‘intention’. In such an interpretation the Church’s whole sacramental system becomes too soft and elastic. Khomiakov, too, was not sufficiently careful, when, in defending the new Greek practice of receiving reunited Latins through baptism, he wrote to Palmer that ‘all sacraments are completed only in the bosom of the true Church and it matters not whether they be completed in one form or another. Reconciliation (with the Church) renovates the sacraments or completes them, giving a full and Orthodox meaning to the rite that was before either insufficient or heterodox, and the repetition of the preceding sacraments is virtually contained in the rite or fact of reconciliation. Therefore, the visible repetition of baptism or confirmation, though unnecessary, cannot be considered as erroneous, and establishes only a ritual difference without any difference of opinion’ (Russia and the English Church, ch. vi, p.62). This is impossible. The ‘repetition’ of a sacrament is not only superfluous but impermissible. If there was no sacrament and what was previously performed was an imperfect, heretical rite, then the sacrament must be accomplished for the first time – and with complete sincerity and candor. In any case, the Catholic sacraments are not just ‘rites’ and it is not possible to treat the external aspect of a sacramental celebration with such disciplinary relativism. The ‘economic’ interpretation of the canons might be probable and convincing, but only in the presence of direct and perfectly clear proofs, whereas it is generally supported by indirect data and most often by indirect intentions and conclusions. The ‘economic’ interpretation is not the teaching of the Church. It is only a private ‘theological opinion’, very late and very controversial, which arose in a period of theological confusion and decadence in a hasty endeavor to dissociate oneself as sharply as possible from Roman theology. Roman theology admits and acknowledges that there remains in sects a valid hierarchy and even, in a certain sense, the ‘apostolic succession’, so that under certain conditions sacraments may be accomplished – and actually are accomplished – among schismatics and even among heretics. The basic premises of this sacramental theology have already been established with sufficient definition by St Augustine, and the Orthodox theologian has every reason to take the theology of Augustine into account in his doctrinal synthesis. The first thing to notice in Augustine is the organic way in which he relates the question of the validity of sacraments to the doctrine of the Church. The reality of the sacraments celebrated by schismatics signifies for Augustine the continuation of their links with the Church. He directly affirms that in the sacraments of sectarians the Church is active: some she engenders of herself, others she engenders outside herself, of her maid-servant, and schismatic baptism is valid for this very reason, that it is performed by the Church (de bapt. i, 15, 23). What is valid in the sects is that which is in them from the Church, that which remains with them as their portion of the sacred inner core of the Church, that through which they are with the Church. In quibusdam rebus nobiscum sunt [“In some of the things we are”]. The unity of the Church is based on a twofold bond – the ‘unity of the Spirit’ and the ‘bond of peace’ (cf. Eph. 4.3). In sects and schisms the ‘bond of peace’ is broken and torn, but the ‘unity of the Spirit’ in the sacraments is not brought to an end. This is the unique paradox of sectarian existence: the sect remains united with the Church in the grace of the sacraments, and this becomes a condemnation once love and communal mutuality have withered and died. With this is connected St Augustine’s second basic distinction, the distinction between the ‘validity’ or ‘reality’ of the sacraments and their ‘efficacy’. The sacraments of schismatics are valid; that is, they genuinely are sacraments, but they are not efficacious by virtue of schism and division. For in sects and schisms love withers, and without love salvation is impossible. There are two sides to salvation: the objective action of God’s grace, and man’s subjective effort or fidelity. The holy and sanctifying Spirit still breathes in the sects, but in the stubbornness and powerlessness of schism healing is not accomplished. It is untrue to say that in schismatic rites nothing is accomplished, for, if they are considered to be only empty acts and words, deprived of grace, by the same token not only are they empty, they are converted into a profanation, a sinister counterfeit. If the rites of schismatics are not sacraments, then they are a blasphemous caricature, and in that case neither ‘economic’ suppression of facts nor ‘economic’ glossing over of sin is possible. The sacramental rite cannot be only a rite, empty but innocent. The sacrament is accomplished in reality. Nevertheless it is impossible, Augustine argues, to say that in the sects the sacraments are of avail, are efficacious. The sacraments are not magic acts. Indeed, the Eucharist itself may also be taken ‘unto judgement and condemnation’, but this does not refute the reality or ‘validity’ of the Eucharist. The same may be said of baptism: baptismal grace must be renewed in unceasing effort and service, otherwise it becomes ‘inefficacious’. From this point of view St Gregory of Nyssa attacked with great energy the practice of postponing baptism to the hour of death, or at least to advanced years, in order to avoid pollution of the baptismal robe. He transfers the emphasis. Baptism is not just the end of sinful existence, rather it is the beginning of everything. Baptismal grace is not just the remission of sins, but a gift or pledge. His name may be entered in the army list, but the honor of a soldier lies in his service, not in his calling alone. What does baptism mean without spiritual deeds? Augustine wishes to say the same thing in his distinction between ‘character’ and ‘grace’. In any case, there rests on everyone baptized a ‘sign’ or ‘seal’, even if he falls away and departs, and each will be tried concerning this ‘sign’ or ‘pledge’ in the Day of Judgement. The baptized are distinguished from the unbaptized even when baptismal grace has not flowered in their works and deeds, even when they have corrupted and wasted their whole life. That is the ineffaceable consequence of the divine touch. This clear distinction between the two inseparable factors of sacramental existence, divine grace and human love, is characteristic of the whole sacramental theology of St Augustine. The sacraments are accomplished by grace and not by love, yet man is saved in freedom and not in compulsion, and for that reason grace somehow does not burn with a life-giving flame outside communality and love. One thing remains obscure. How does the activity of the Spirit continue beyond the canonical borders of the Church? What is the validity of sacraments without communion, of stolen garments, sacraments in the hands of usurpers? Recent Roman theology answers that question by the doctrine of the validity of the sacraments ex opere operato [“operating by the work itself”]. In St Augustine this distinction does not exist, but he understood the validity of sacraments performed outside canonical unity in the same sense. In fact ex opere operato points to the independence of the sacrament from the personal action of the minister. The Church performs the sacrament and, in her, Christ the high priest. The sacraments are performed by the prayer and activity of the Church, ex opere orantis et operantis ecclesiae [this phrase is translated by the previous clause, “performed by the prayer and activity of the Church”]. It is in this sense that the doctrine of validity ex opere operato, must be accepted. For Augustine it was not so important that the sacraments of the schismatics are ‘unlawful’ or ‘illicit’ (illicita); much more important is the fact that schism is a dissipation of love. But the love of God can overcome the failure of love in man. In the sects themselves – and even among the heretics – the Church continues to perform her saving and sanctifying work. It may not follow, perhaps, that we should say that schismatics are still in the Church. In any case this would not be precise and sounds equivocal. It would be truer to say that the Church continues to work in the schisms in expectation of that mysterious hour when the stubborn heart will be melted in the warmth of God’s prevenient grace, when the will and thirst for communality and unity will finally burst into flame. The ‘validity’ of sacraments among schismatics is the mysterious guarantee of their return to Catholic plenitude and unity. The sacramental theology of St Augustine was not received by the Eastern Church in antiquity nor by Byzantine theology, but not because they saw in it something alien or superfluous. Augustine was simply not very well known in the East. In modern times the doctrine of the sacraments has not infrequently been expounded in the Orthodox East, and in Russia, on a Roman model, but there has not yet been a creative appropriation of Augustine’s conception. Contemporary Orthodox theology must express and explain the traditional canonical practice of the Church in relation to heretics and schismatics on the basis of those general premises which have been established by Augustine. It is necessary to hold firmly in mind that in asserting the ‘validity’ of the sacraments and of the hierarchy itself in the sects, St Augustine in no way relaxed or removed the boundary dividing sect and communality. This is not so much a canonical as a spiritual boundary: communal love in the Church and separatism and alienation in the schism. For Augustine this was the boundary of salvation, since grace operates outside communality but does not save. (It is appropriate to note that here, too, Augustine closely follows Cyprian, who asserted that except in the Church even martyrdom for Christ does not avail.) For this reason, despite all the ‘reality’ and ‘validity’ of a schismatic hierarchy, it is impossible to speak in a strict sense of the retention of the ‘apostolic succession’ beyond the limits of canonical communality. This question has been investigated exhaustively and with great insight in the remarkable article of the late C.G. Turner, ‘The Apostolic Succession’, in Essays on the Early History of the Church and the Ministry, edited by H.B. Swete (1918). From this it follows without a doubt that the so-called ‘branch’ theory is unacceptable. This theory depicts the cleavages of the Christian world in too complacent and comfortable a manner. The onlooker may not be able immediately to discern the schismatic ‘branches’ from the Catholic trunk. In its essence, moreover, a schism is not just a branch. It is also the will for schism. It is the mysterious and even enigmatic sphere beyond the canonical limits of the Church, where the sacraments are still celebrated and where hearts often still burn in faith, in love and in works. We must admit this, but we must remember that the limit is real, that unity does not exist. Khomiakov, it seems, was speaking of this when he said: ‘Inasmuch as the earthly and visible Church is not the fullness and completeness of the whole Church which the Lord has appointed to appear at the final judgement of all creation, she acts and knows only within her own limits; and (according to the words of Paul the Apostle to the Corinthians, 1 Cor. 5.12) does not judge the rest of mankind, and only looks upon those as excluded, that is to say, not belonging to her, who have excluded themselves. The rest of mankind, whether alien from the Church, or united to her by ties which God has not willed to reveal to her, she leaves to the judgement of the Great Day’ (Russia and the English Church, ch. xxiii, p.194). Mark you, I do not presume to call false any Church which believes that Jesus is the Christ. The Christian Church can only be either purely true, confessing the true and saving divine teaching without the false admixtures and pernicious opinions of men, or not purely true, mixing with the true and saving teaching of faith in Christ the false and pernicious opinions of men’ ( Conversation between a Seeker and a Believer Concerning the Orthodoxy of the Eastern Greco-Russian Church, Moscow 1831, pp.27-29). but I just simply look upon them; in part I see how the Head and Lord of the Church heals the many deep wounds of the old serpent in all the parts and limbs of his Body, applying now gentle, now strong, remedies, even fire and iron, in order to soften hardness, to draw out poison, to clean wounds, to separate out malignant growths, to restore spirit and life in the numbed and half-dead members. In this way I attest my faith that, in the end, the power of God will triumph openly over human weakness, good over evil, unity over division, life over death (ibid. , p.135). This catechumen has a question – did not Florovsky himself look upon this article with disdain later in his career? Did he not take a much more ‘hard-line’ approach toward those outside of the Church, recognizing less than he admitted in this article? I asked a friend of mine about this — he is a Florovsky scholar — and he said that there’s really no evidence to suggest that Florovsky disavowed the nuanced position in this paper. Indeed, it’s confirmed in other pieces of writing both before and years after its publication. The idea that he rejected this position seems to have been somewhat fancifully invented by certain persons who would like to claim him for their “camp” (and who also misread the paper, it seems to me). I’m not very knowledgeable about this, so I can’t really say much more. My friend suggested he might pop in and have a say himself. I hope he does! I would love it if your friend would stop by! I really don’t mean to raise this to simply mention controversy, but all of this can be really confusing for a catechumen, especially regarding whose work I can trust to introduce me to the teachings and perspective of the Church…. I have read (and been told) that Florovsky was forced to leave St. Vladimir’s Seminary by those who were much more open to ecumenical relations (and to ‘recognizing’ realities ‘of the Church’ outside of the canonical boundaries of the Orthodox Church). And that those who remained at St. Vladimir’s seminary then were the ones who have been putting this article forth as the proper view of the limits of the Church. And I did read somewhere (I think in a couple of articles by “Archbishop Chrystostomos” on Orthodoxinfo.com) that Florovsky then later – possibly more in personal conversations than in peer-reviewed publications (which isn’t necessarily helpful) – spoke of this article as immature and incorrect in much of its views (and also much wariness about the St. Vlad professors and the OCA generally). Chrysostomos does indeed claim that Florovsky disavowed this 1933 “Limits of the Church” article as an essentially heuristic exercise of his youth, as expressing a view which he had later come to reject. He also makes several other notable claims: that Florovsky became “anti-ecumenical” in his later years, that he had become sympathetic with ROCOR and with the “moderate Greek Old Calendarists” (note: this is also Chrysostomos’ self-description for his own synod), that he did not publicly concelebrate with OCA clergy while he was at Princeton, that he was opposed to the OCA’s autocephaly, and that he was sharply critical of Frs Schmemann and Meyendorff. Unfortunately, Chrysostomos gives no evidence for these assertions other than his personal conversations with Fr Florovsky during Chrysostomos’ own time as a student of psychology at Princeton in the early 1970’s. I have been studying Fr Florovsky very closely on and off for a decade now, have worked through his published corpus several times, and have published several articles and book chapters on him as well as a roughly 40 pg scholarly bibliography of literature on his life and thought (collected from some 15 languages) in peer reviewed scholarly publications. I have also dealt closely with unpublished material both from his archives at Princeton, St Vladimir’s Seminary, and in the hands of private individuals who were close to him in the last couple decades of his life. And I have interviewed a number of these same individuals and asked them specifically about these matters. Although I am too young to have known Fr Georges personally in the flesh, I have to say this -– and based on close acquaintance with both his published works and unpublished communications, as well as the reminiscences of his friends: these claims are a mixture of truth and falsity — but mostly, I would suggest, falsity. This will be a little bit long, but please allow me to address your question in a roundabout fashion, by addressing these claims more thoroughly — as it is about time someone does so. I will start with the more tangential points, as I believe these should give you reason to pause before putting any trust in the source of these claims regarding Fr Florovsky’s views on ecumenism and the “Limits of the Church” article. Then, in another post, I will address the issue of the article on “The Limits of the Church” itself. — Florovsky’s firing from the deanship of St Vladimir’s Seminary in 1955 had nothing directly to do with the issue of ecumenism. Rather, the clash was over administrative and disciplinary issues, and personality conflicts between Florovsky and Schmemann, which certain other persons agitated and took advantage of. In fact, Serge Verhovsky (who had been a student of Florovsky at St Serge and who had begun teaching at St Vladimir’s in 1952 at Florovsky’s invitation) was more jaundiced and guarded in his view of “the West” than was Florovsky. In letters to Elder Sophrony Sakharov (now published in Russian) in the late 50’s, Florovsky expressed his disagreement with the way in which Verhovsky tended to lump all Latin theology together, and with his attempt (like that of Lossky, whom he also mentions) to trace “papism” as logically developing from the filioque, a view Florovsky found simply lacking in awareness of historical facts. Also, if you study the writings of Alexander Schmemann, I believe you will find that he really was not especially liberal or sanguine regarding ecumenism. In Schmemann’s own memorable words, “What surprises those in the Ecumenical Movement is that while they are discussing the great project of unification of the churches, the Orthodox are still talking about the Devil.” Schmemann like Florovsky was open to talking to Roman Catholics and other Christians; that does not mean he was out to sell the farm. That much is especially evident in various comments made in Schmemann’s journals, as well as in the various comments he made regarding the Second Vatican Council. In my reading, Fr John Meyendorff was slightly more optimistic regarding ecumenism than were either Florovsky or Schmemann — though never without criticism or reserve. He showed somewhat more sympathy with Vatican II and with the theology of Karl Rahner at points. But Meyendorff never taught at SVS during Florovsky’s tenure there; he was still in France at that point, and did not come onto the faculty in New York until 1959. I will say more about Meyendorff below. I have seen only one possibly trustworthy source for any suggestion that the conflict between Florovsky and SVS involved ecumenism. That came from someone who was especially close to Florovsky and is now very elderly. It was offered as an interpretation of certain statements made to him by Florovsky. The connection is somewhat indirect. It seems it was Florovsky’s belief that Schmemann and others at SVS began to consider removing him around the time of the Evanston Assembly of the World Council of Churches in 1954, where both he and Schmemann were present, and that Schmemann disagreed with the hard stand taken by Florovsky and his friend Archbishop Michael (of the Greek Archdiocese) in their choice to draft a separate Orthodox statement on ecclesiology rather than to sign the general statement made by the Assembly. It is possible, as suggested (but not confirmed) by this friend of Florovsky, that Schmemann may have thought at the time that this stand was too unbending. There was also suspicion among some at SVS at that time regarding Florovsky’s close connection with Archbishop Michael -– there was some unjustified fear that Florovsky wanted to take the seminary into the Greek Archdiocese. — It is true that Fr Florovsky was sharply critical of Fr Alexander Schmemann. The evidence I have seen suggests that remained so up until his death – and certainly in the early ’70’s, when Chrysostomos would have heard these remarks. It is also true that he evidently did not think much of Schmemann as a theologian. This opinion, however, had little or nothing to do with supposed heterodox sources, but rather with a perceived lack of substance and historical learning. And the vast majority of his critical comments (made in private, and some recorded for posterity, though still unpublished –- which is how they probably should remain) were aimed more at Fr Schmemann as a person and an ecclesiastical politician, than at the direction of his thinking. The reason for this obviously had to do with his hurt in being fired from the deanship of St Vladimir’s Seminary, and Fr Schmemann’s involvement in that affair. Granted, these remarks on Meyendorff are from 1960, when Florovsky was at Harvard, some ten years or so before Chrysostomos claims to have heard Florovsky’s criticisms of Fr Meyendorff. However, similar praise for Meyendorff’s study of Palamas can be found in later notes available in the archives of St Vladimir’s Seminary, and there was friendly correspondence between the two in later years. They also participated in several conferences together in the late 1960’s at Notre Dame University (on themes from Vatican II) and elsewhere. Florovsky’s own famous 1959 essay, “St Gregory Palamas and the Tradition of the Fathers,” in fact shows a tacit dependence on the work of Meyendorff. And, let’s not forget: Florovsky accepted the invitation to attend the 40th anniversary celebration for St Vladimir’s Seminary in May 1978, just a little over a year before his own death, and he was very happy about this event. — I have seen no real evidence that Florovsky was personally opposed to the autocephaly of the OCA. On the contrary, there are recorded statements in which he states that he was not opposed to it. One of these comments is included in Andrew Blane’s biography of Florovsky. It is true that Florovsky remained a priest of the Ecumenical Patriarchate, and it seems that (as George Williams claimed in his long 1965 article on Florovsky, which may have been in part co-authored by Florovsky himself) that he personally envisaged a unified American church under the leadership of Constantinople. It certainly would be utterly wrong to see him as a proponent of the autocephaly, as some might like to claim. However, all his relevant comments from the period of the autocephaly which have been recorded (and remain unpublished), or else relayed to me from those who heard them, focused on Schmemann’s person rather than on the autocephaly itself. He expressly stated after a public lecture to an Orthodox students groups at a certain East Coast university (not Princeton) in ’70 or ’71, as well as in recorded statements with his biographer Andrew Blane around the same time, that he had no great issue with the autocephaly — only with its architect. The real fact of the matter is that Florovsky was, all his life, relatively indifferent to matters of jurisdictional politics. — It is simply not the case that Florovsky did not celebrate with OCA clergy while at Princeton. Numerous people still living, including especially Frs Paul Shafran (with whom he was especially close) and Daniel Skvir (both of whom still celebrate in the chapel at Dodge Hall in Princeton), can testify to that. Fr Florovsky concelebrated weekly on Sundays and on feast days at St Vladimir’s Church (OCA) in Trenton, NJ throughout much of the ’70’s. He was also buried from this church, with none other than Frs Schmemann and Shafran presiding at the services. And his own last liturgy, celebrated not long before his death in the summer of 1979, was celebrated at an OCA parish — at Fr Michael Meerson’s parish on E 71st St in Manhattan. In an interview which can be found on the Russian internet, Fr Meerson described having to hold Fr Florovsky up in the altar, he was so physically weak at this point. — It is true that, as Chrysostomos claims, Florovsky served in ROCOR in Yugoslavia during WWII, and received his gold cross from a ROCOR bishop. I also know from clergy who were present that he sometimes concelebrated with (the very “moderate”) Archbishop Anthony of Geneva at the ROCOR cathedral in Geneva in the late 1950’s/early 1960’s, when he would travel there to take part in meetings for the World Council of Churches (whose executive committee he was a member of from 1948 to 1961). This ROCOR connection, however, should not be taken as some kind of reactionary statement, as Chrysostomos seems to want to style it — especially if that means some kind of statement against Orthodox involvement in the ecumenical movement. For the fact is that ROCOR itself, including its first primate, Met. Antony Khrapovitsky, was actively and openly involved in ecumenism from the 1950’s through to the 1960’s. As late as 1951, the ROCOR itself sponsored a European sub-Assembly of the WCC at Baden-Baden in Switzerland. ROCOR also sent an official observer to the Second General Assembly of the World Council of Churches in Evanston in 1954: the late Protopriest (later Bishop) Gregory Grabbe. (There is also published correspondence in Russian between Grabbe and Florovsky dealing with the ecumenical movement from the early 1960’s). Evidence of these facts can be found with not too much digging in ROCOR literature. On a final ROCOR/Florovsky-related note, I would point out that while ROCOR’s first hierarch Antony Khrapovitsky praised Florovsky as a great and strictly Orthodox theologian, and while Florovsky admired Khrapovitsky (whom he says he met only once) as a person and did occasionally give positive citation to Khrapovitsky for certain insights (unrelated to the question of reception of converts from heterodox confessions, mind you), the fact is that he maintained strong theological criticisms of Khrapovitsky from the 1920’s right up to the 1970’s. Florovsky’s first piece on soteriology, the 1928 “O Smerti Krestnoi” (the first version of the better-known English essay, “Redemption,” published in 1978) was written to counter Khrapovitsky’s controversial moral theory of redemption. There are also letters from the early 20’s (now published in Russian) showing that he was critical of Khrapovitsky’s thought even then. Florovsky’s 1937 magnum opus, Ways of Russian Theology, contains a significant critique of the Kantian and anti-metaphysical presuppositions of Khrapovitsky’s thinking. These remarks were all made in the same period that Archbishop Chrysostomos was in Princeton, when he says that Florovsky expressed sympathy for ROCOR. — As for the claim that Florovsky was “sympathetic” with the moderate Greek Old Calendarists -– this should be interpreted with extreme care. Apart from one humorous remark in a letter from the early 20’s about “the calendar introduced by the evil Pope Gregory!”, there is absolutely nothing in his published or unpublished writings that suggests that the issue of the calendar was a matter of importance for him. He celebrated on both calendars depending on where he was (Julian in the Paris Exarchate and Metropolia/OCA; New Calendar in the Greek Archdiocese, etc). And there is no evidence whatsoever that he ever changed his views on the validity and necessity of Orthodox participation in the ecumenical movement, opposition to which is such a crucial self-identifier for the Greek Old Calendarists. However, it is a definite fact -– for which documentary evidence can be produced -– that he did not agree with Archbishop Iakovos’ particular brand of ecumenism, or with that of Patriarch Athenagoras. He thought they were too indifferent to questions of doctrinal disagreement. Apparently, it was Florovsky’s open flouting of Iakovos’ insistence that there should be no separate Orthodox statement at the 1963 New Delhi assembly of the WCC that was one of the factors that contributed in part to his later dismissal from Holy Cross. Perhaps this could be stretched to suggest a “sympathy” for the concerns and criticisms expressed by the Old Calendarists. Fr Florovsky certainly had a particular talent for showing sympathy while being simultaneously critical –- it was, in fact, this gift that he deployed so regularly in his involvement with non-Orthodox Christians in the ecumenical movement. And while conflicts with Iakovos did put an end to his tenure at Holy Cross, his disagreements did not stop him from teaching an occasional class there in the late 60’s, from serving in parishes of the Greek Archdiocese, from personally visiting Athenagoras in Istanbul, or from representing both the Ecumenical Patriarchate and the Greek Archdiocese of America at various functions in the 50’s and 60’s. I would also note the fact that on his trips to Greece up through the late 60’s/early ’70’s, he did not attend Old Calendarist gatherings, but rather celebrated at the Russian parish in Athens (he mentions this in his published correspondence with Iuri Ivask). The “sympathy” for the Old Calendarists which Chrysostomos claims Florovsky had might also be referring to the fact that Florovsky occasionally used to serve liturgies for the monks of Holy Transfiguration Monastery in Brookline, as they were without a priest. This, however, was in the early 1960’s (apparently, 1961-1964) –- when the monastery was still affiliated with the Greek Archdiocese (if only loosely so). And note that while the monastery sought entrance into ROCOR in 1965 in response to the “lifting of anathemas” between Pope Paul VI and Patriarch Athenagoros, Fr Florovsky acted differently. His published article on the meeting of Paul and Athenagoras in Jerusalem in 1964 (see Florovsky, “Znamenie Prerekaemo,” Vestnik Russkago Studencheskago Khristianskago Dvizheniya no. 72-73, I-II (1964), 1-7) treats the event both cautiously and hopefully as an opportunity – an opening, which would require further patient dialogue and study. Similarly, his response to the lifting of the anathemas a year later was to treat it as a largely symbolic event, which would now require greater and prolonged serious work by theologians of both communions. I would also add that I have it from sources close to Fr Florovsky in the 60’s and 70’s that he later expressed skepticism towards the then-abbot of Holy Transfiguration Monastery, Fr Panteleimon (Metropoulos), whom he described as “liking to play the elder.” Panteleimon was suspended and later proclaimed “self-deposed” by the Synod of ROCOR around 1986 for serious charges; he has since brought his monastery through a plethora of schismatic Old Calendarist jurisdictions, where they still remain today. — As regards the general claim that Florovsky became somewhat “anti-ecumenical” in his last decade, there is no evidence whatsoever in his published corpus of this, nor (from what I have seen at least) in his unpublished archives. However, Florovsky remained actively involved in the World Council of Churches until at least 1969 (when he was 76 years old), and in Faith and Order even into the 1970’s. In 1969 he was seriously considering accepting an invitation from Pope Paul VI to become head of an ecumenical institute in Jerusalem. In 1970 he gave an interview in which he expressed his views on ecumenism and on Vatican II. I have the interview, which is very hard to find. In it he expresses positive remarks about the move towards decentralization at Vatican II, but says that there is need for greater theological work, particularly regarding the papal claims of Vatican I. His attitude towards the ecumenical movement remains positive, even though he says he does not expect any revolutions to occur in the near future. His emphasis then, as always before, is on “ecumenical patience,” and detailed “molecular work” by theologians of different confessions in dialogue with one another. Around the same time Florovsky gave an interview to students from St Vladimir’s in a church publication in which he stated that while the general direction of the WCC at large had moved away from serious attention to doctrine and towards social agendas –- he was very critical of this -– nevertheless serious work was still being done by theologians in the Faith and Order Commission, he says. Florovsky’s last big involvement in Faith and Order was in 1971 at the Louvain Assembly, when he was 78 years old. On this trip, he also visited the dual-rite Benedictine monastery of Chevetogne, where he spoke with veneration of St Augustine. After this period he published only a few book reviews, but gives no evidence in them that his views on ecumenism had significantly changed. In my next post I will address the claim regarding the specific article on “The Limits of the Church.” But for starters, I hope all I have written here will give you reason at least to be very skeptical about the source of the claims you’ve heard. There is reason to believe that those making these claims have a vested interest –- they are using their slight association with Fr Florovsky as a prop for their own ecclesiological stand, which is that of schism from the broader Orthodox Church. One must realize that “ecumenism” can mean multiple things -– some good, some bad. It is important to be clear about what is meant in each instance. Thank you *very* much for the detailed response. I really appreciate you taking the time to lay that out for me. I also look forward to your post on this article. There seems to be so much diversity within the Orthodox teachers and jurisdictions in America (especially regarding the ‘Paris School’/St. Vlads). 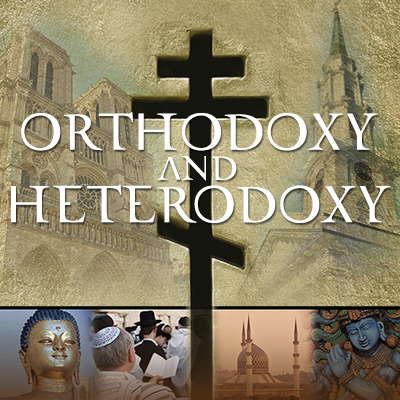 When one enters the Orthodox Church through the influence of teachers in these circles, one soon finds that their views are highly controversial and criticized or ignored by other groups within canonical Orthodoxy. It can be a little disorienting!! It seems to me that Florovsky, however, is one figure that is highly regarded across the board. I don’t think I’ve ever heard anybody speak negatively of Florovsky’s contribution to Orthodox thought (though perhaps this will change too!). Now, as regards the specific claims regarding the views put forth in the 1933 “Limits of the Church” article here: http://orthodoxinfo.com/ecumenism/florov_thoughts.aspx, let me start with what Chrysostomos & his circle undoubtedly state correctly. Chrysostomos is absolutely right in stating that Florovsky’s ecumenical activities never included “sharing of the Church’s Mysteries” and that for him this would be “impossible.” In fact, it should be noted that the original context of this 1933 “Limits of the Church” article was a debate that went on in the Anglican-Orthodox Fellowship of St Alban and St Sergius regarding the proposal of Fr Sergii Bulgakov for intercommunion in sacraments between Anglicans and Orthodox. Florovsky’s clear and strong stand was against the possibility of intercommunion. This article should certainly be read in that context. – The claim of Chrysostomos and his circle that the “Limits of the Church” article was written as a “heuristic piece” and that Florovsky saw it precisely as such is also undoubtedly correct. Florovsky never asserts that his own views on sacraments outside the Church’s canonical boundaries is the dogmatic teaching of the Orthodox Church. His argument is rather against a certain teaching which, he holds, is also not the dogmatic teaching of the Church. That is, the particular theory of “economy” propagated by certain modern Greek theologians as well as Antony Khrapovitsky (and today, on Mt Athos – at least among monasteries that follow Elder Ephraim of Philotheou). According to this “theory,” reception by chrismation of those previously baptized in a heterodox or schismatic group is to be understood as filling a previously empty rite with grace. In response to this “theory,” Florovsky does not propound a dogmatic teaching, but argues rather that this understanding is /not/ the dogmatic teaching of the Church either, but a recent and theologically unsatisfactory theory. Further, he argues that Augustine’s particular understanding of sacraments in schism does better justice as a theological explanation for the actual historical practice of the Church regarding sacramental reception of schismatics — which has overwhelmingly favored receiving those previously baptized in the name of the Trinity by way of chrism, confession or (earlier) laying on of hands. This practice, to which there are few historical exceptions, all of which have been local (North Africa in the time of Cyprian; Russia in the 15th century; Patriarchate of Constantinople in the 18th-19th century and Athos up to the present), was supported by St Basil and given canonical status at the so-called Quinisext Council in Trullo in its canon 95, and so received a certain ecumenicity. Florovsky is arguing that only a sacramental theology like that of Augustine makes proper theological sense of this practice of reception by chrism. In his view, if reception of Roman Catholics by any other means than baptism is to be understood as an act of economy, and economy in this case means filling a previously empty rite with grace, then this essentially upsets the order of the sacraments: it appears there is no necessity that chrism, for instance, be preceded by a real baptism. It is, if you like, a kind of magic, and there is little respect here shown for the necessity of the outward sacramental sign specific to baptism, if chrismation can simply make a sacrament which never really happened to be as if it happened. Further, any justification for this practice on pastoral grounds (understood thus) is bound to be deceptive, suggesting to those received that their previous rite conducted in schism was grace-filled, when it was really not. In this case (so Florovsky’s reasoning goes) it would be more truthful and more consistent to baptize all converts: Roman Catholics or non-Chalcedonians as equally as heathens. The key reason to doubt this claim that the 1933 “Limits of the Church” article is not an isolated expression of these views in Florovsky’s corpus of writings. On the contrary, he expresses the same view in other places as well, both before and – more importantly – years after this period. See the rest of the quote. It is further evidence of the consistency of GF’s views on sacraments and schism. But it is also shows that for him the canonical difference does in a sense mark a charismatic one, since he insists that the basic canonical structure of the Church herself is charismatic; and yet “the charismatic and the canonical do not absolutely coincide” and there is a charismatic life beyond the ordinary canonical structures. Also the same year (1928) he did a book review of the 19th century Roman Catholic theologian Johann Adam Moehler book on the unity of the Church. Unfortunately this review is not translated, but the same understanding is reflected here: the Roman Catholic Church has a sacramental life, and a life of Tradition, which has not been quenched entirely by the papacy of Vatican I. There is a certain antinomy between the charismatic and the canonical in the Church, and the basic reality of the Church is not the canonical, but the mysteriological, which the canonical order are supposed to reflect and support. More crucially, the same view is reiterated in two pieces published in 1950, when Florovsky was no longer a young man (he was 57): a published letter, “A Holy Calling,” The Student World, 43:2 (1950), 169-171, and an article, “The Doctrine of the Church and the Ecumenical Problem,” The Ecumenical Review 2:2 (1950), 152-161. The first is nearly impossible to find, but I do have a copy, and a Russian translation can also be found online at http://aliom.orthodoxy.ru/arch/048/flor48.htm (the editor, who found the original letter in the Princeton archives, appears not to have realized that a previously published version already existed in English). The second is not too hard to procure; I encourage all to read it. He goes on to say however that the truth is double edged: the canonical is not the ultimate criterion, and yet it cannot be disregarded either. There is an “antinomy” at work here, which requires us to carry the Cross of ecumenical patience. And he talks about the pain of heart this causes him, how in the St Alban -St Sergius Fellowship he had to insist on the impossibility of intercommunion, etc. But nowhere in this letter does he disavow his earlier position. In the article of the same year, “The Doctrine of the Church and the Ecumenical Problem,” he restates his position from the 1933 “Limits of the Church” article. (Parts of this 1950 article are reprinted in chopped up form in the Florovsky Collected Works, I believe under the title « Cyprian and Augustine on Schism ».) He speaks of “many bonds still not broken, whereby the schisms are held together in a certain unity” – including “right belief, sincere devotion, the Word of God, and above all the Grace of God, ‘which ever heals the weak and supplies what is lacking.’” He praises Western theologians for raising the question of the limits of the Church in a way that Eastern theologians have not. He states that the canons of councils deal with the question in a practical manner and do not really give us a theological answer. Pastoral theology and canon law, he says, can never replace dogmatics. On the other hand, he says, this does not mean we can ignore canonical order. He goes on to discuss St Cyprian and St Augustine on this question. He states that both Cyprian and Augustine’s views are no more than « theologoumena » – doctrines set forth by single fathers. But he says Augusine’s view must be taken into account. The Cyprianic view, he says, simply dismisses the problem. He rejects again the modern explanation by « economy. » And he finally defends the Augustinian view as the most theologically reasonable one, the one that does the most justice to the complexity of the situation of Christians divided in schism. He quotes Philaret of Moscow again just as he did in the 1933 article. There is another essay you should look at: “O predstoyaschem sobore Rimskoi Tserkvi,” Vestnik Russkogo Studencheskogo Khristianskogo Dvizheniia [Russian Christian Student Movement Messager] 52 (I), 1959, of which a French translation exists in Vers l’unite Chretienne XII, 5, May, I think the same year; a translation exists in the Collected Works volume Ecumenism II under the title “On the upcoming council of the Roman Catholic Church.” In that essay he states that Orthodox theology is divided and confused on the ecclesial status of the Roman Catholic Church, its sacraments etc. He questions whether John of the Cross or Francis of Assisi should really be considered “an heathen man”? He criticizes those Orthodox who reject Augustine as a Father of the Church. He says that Orthodox theology must develop its own ecclesiology further in order to meet the ecumenical challenge of Rome. There are a number of other important Florovsky works on ecumenism, tradition and ecclesiology from the period around 1963, and another from 1967. These are his last publications in this area. There are also lectures on ecclesiology he gave at Fordham University in the late 60’s, only some of which were published. In none of these does he reverse his position. The Fordham lectures reflect the same strong debt to Augustine as earlier works; in one unpublished lecture, he actually calls Augustine “the greatest Father of the Western Church, and indeed of the Church universal.” And in the 1964 Russian piece I mentioned in my first post,“Znamenie Prerekaemo,” he criticizes the theory of economy he criticized in the 1933 “Limits of the Church” article. One would think that Chrysostomos and co. would take some account of these other lesser-known pieces. Since Florovsky published little after this period apart from book reviews, Chrysostomos and co. are essentially asking us to take their word for it that he made a complete about-face on a position he certainly held to for more than three decades, with no evidence other than their word. But you see, they have already discredited themselves by other claims regarding Florovsky which can be clearly refuted. Unfortunately, the Florovsky Collected Works edited by Richard Haugh is out of print, was never complete, and was marred by many acts of editorial violence and hubris: original article titles were changed, articles were hacked up into separate parts etc. This was especially the case with the two volumes on ecumenism, which are really a mess. As I hope to have shown a little in my long-winded posts (! ), there is really no evidence that Florovsky’s ecclesiology grew “far different and more conservative” throughout his career. What is really striking – as Christoph Künkel, the author of the fullest systematic study of his thought, Totus Christus: Die Theologie Georges V. Florovskys notes – is rather the remarkable consistency of his views across so many contexts and over 5 decades. If his ecumenical attitudes did change, it was rather somewhat slightly in the opposite direction: though still critical, a comparison of his earliest essays of the 1920’s with his later works and published comments show an increasingly more open attitude towards the Roman Catholic Church (of course, Roman Catholic theology had changed, and was in the process of shedding neoscholasticism and turning back to patristics). . . . But as regards the comments supposedly made at the Patristics symposium of 1975, it is possible. But again, be careful. It is entirely possible that Florovsky expressed dissatisfaction with his 1933 article then, but that would not necessarily mean disavowal: he very regularly expressed dissatisfaction with his earlier dealings with what he considered open “problems,” but in no case I know of did this dissatisfaction signal a total about-face. He was a very exacting and searching thinker, who was attracted to “problems,” which he would make repeated and sketchy stabs at addressing in an adequate manner. For instance in some letters from the early 70’s he expresses his dissatisfaction with his essays on creation, which were written to counter Bulgakov’s sophiology; but then he goes on criticize Bulgakov’s thought further in the letters. 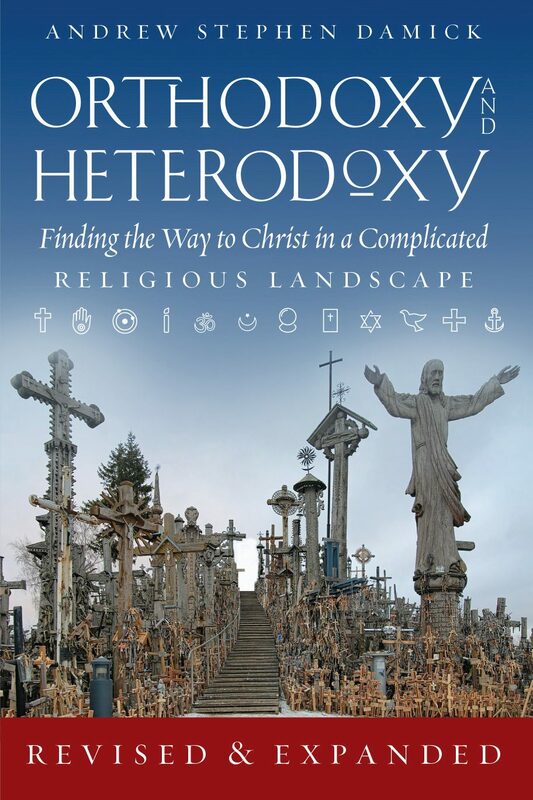 As for modern theologians, you cannot go wrong with Florovsky. You are right: up till now, he has been respected across the board, on all sides of the spectrum. Some on Mt Athos have called him a Church Father, and Elder Sophrony Sakharov once sent to him his own “theological confession,” asking for his judgment and saying “I need you to keep me on the royal road of the Fathers”. This attitude, however, is beginning to change among some of our liberal North American Orthodox academics: it is now becoming fashionable to attack Florovsky as “polemical,” “anti-Western,” encouraging a sterile repetition of patristic sayings, etc. In reality nothing could be further than the truth, and these people have not read Florovsky very extensively or carefully. Fr Dumitru Staniloae is also especially good – a giant. Study him and Florovsky and you can have years of education. And there are many others. Elder Emilianos of Simonopetra (Mt Athos) is probably your best contemporary monastic theologian, followed by Elder Sophrony Sakharov, Archimandrite Placide Deseille and Elder Vasileos of Simonopetra. I especially recommend Archimandrite Placide’s beautiful essay, “Stages of a Pilgrimage,” in The Living Witness of the Holy Mountain: Contemporary Voices from Mt Athos, trans. and ed. Hieromonk Alexander [Golitzin] [South Canaan, PA: St Tikhon’s Seminary, 1999]. It is the most well-informed, balanced, fair and insightful treatment by a recent Orthodox writer on Roman Catholicism that I know of. In this area, there are some things one cannot know from just playing with a prayer rope and pretending to be a hesychast – one must actually study the historical sources. Placide actually knows Roman Catholic theology, liturgy and spirituality at its best – he had the best French Cistercian monastic formation, and he converted to Orthodoxy after a long struggle. Fr Patrick Henry Reardon is, IMO, one of our best popular writers here in America, with a deep knowledge of the Bible, the Liturgy and the Fathers of both East and West. Again, there are many others. But be very careful about what you read by Orthodox on the internet. Especially from websites which speak of “the pan-heresy of ecumenism,” or those which quote canons or patristic proof-texts with no regard to literary or historical context, or which trade in easy, schematic, but grossly oversimplified contrasts between Christian East and West. Stick with reading your Bible, and read the Church Fathers themselves – systematically, voluminously, widely – as well as sound modern theologians such as those I mentioned above. Stay away from those who separate themselves from the broader Church at large in the name of supposed correctness, strictness, or piety. Listen to your parish priest, and cultivate a relationship with him. Ask him what to read. Wow! I just came across your posts and am blown away both by the breadth of information you have provided and the sagacious advice to a prospective convert. I myself am preparing to convert and have had to negotiate the confusing waters of contemporary American Orthodoxy. I especially appreciated your advice to “be very careful about what you read by Orthodox on the internet. Especially from websites which speak of ‘the pan-heresy of ecumenism,’ or those which quote canons or patristic proof-texts with no regard to literary or historical context,” I’ve come across these sites and find them to be the Orthodox equivalent of Protestant fundamentalism. Sincere believers with whom I sincerely disagree. I’d love to ask you some questions outside this forum if you are open to it. I don’t know if there is any way we could exchange e-mails. Perhaps the moderator could facilitate? Personally I see no reason why he should not be canonized as a Father of the Church. Same goes for Fr Dumitru Staniloae. The service these men rendered to the Church and to Orthodox theology cannot be measured. Florovsky, “The Sacrament of Pentecost,” in Florovsky, Creation and Redemption (Belmont, MA: Nordland, 1976),198-200. The point of the piece in the dialogue was to underscore that admission of a schismatic body to communion would require the consent of all the bishops — it is not in the purview of priests or even a single bishop to make this decision (as Bulgakov had thought). That is the last paragraph. This statement, I would say, expresses quite well what was always Florovsky’s view. The main deviation of Rome Florovsky has in mind is chiefly that of the papal claims. He has little to say in his published work as to what he thinks the real dividing issues between Rome and Orthodoxy really are, but he does make clear in a number of places that the main issue is the papacy, and that it was the papacy and its claims (not the Augustinian filioque in itself — he is quite clear on this) that was the cause of the schism. On the other hand he does not reduce to the papacy, however, because he sees in the modern Roman doctrines of the papacy a false doctrine regarding the nature of Church unity, rooted in an eclipse of Christological vision, in which the Ascension is treated as Christ’s departure from the stage of world history. I think these excellent comments by the late Fr Matthew Baker should be collected and published as a stand-alone post so that they’re not lost. It’s very good and well explained. It’s really bad that priests like Fr. Peter Heers ignores totally this kind of historical testimony. There’s also a review by Bishop Athanasius Yevtich of this article (“The limits…”) which was recently translated. I would love to see you guys commenting on that. It is possible? For example, the then young theologian and priest George Florovsky observes, “One may ask who gave the Church this right…” to accept heretics in the manner, meaning here the application of ecclesiastical economy instead of the exactitude supported by Cyprian. In other words, the practice of the Church does not impose on all heretics to be re-baptized, as Saint Cyprian demanded. To such a question, we dare juxtapose the following counter-question: Who gave the right to Fr. Florovsky to put such questions to the Church? The writer misses that GVF is not actually “put[ting] such questions to the Church” but rather to those who make the claim that the Church can do this. In other words, the writer is presuming his conclusion before even establishing it. It’s hard to see how this can be a useful analysis of GVF’s piece when what is really basic reading comprehension and/or the use of reason are just disregarded. What’s worse, he doesn’t even address the question at all: How can the Church supposedly “invent” a baptism that does not previously exist through chrismation or some other non-baptism act? The answer, of course, is that it can’t. Thanks for you answer, father. Is it okay to say that the church doesn’t have a clear explanation on this subject? Is possible to say that the church has a clear point to say about that? How should we understand the reception of the non-orthodox? There was a lot of conflict about this in my former parish. Is it better to say that the Church doesn’t have a official decision on this and show the different “schools”? Thank you. And sorry for my bad English, it’s not my first language. This is all really way too much to respond to on a blog. That said, I suggest you read the many other comments already on this post, especially those by the late Fr. Matthew Baker (commenting here as “Matthew”).